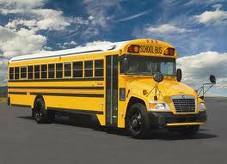 As of this month, funding is available through the Maine Arts Commission for transporting students to arts venues and events. This funding is being provided for K-12 schools and is available on a first come first serve basis. You can learn more about the details of this opportunity for you and your schools at the Maine Arts Commission announcement or by contacting John Holdridge at john.holdridge@main.gov. You are currently browsing the me arts ed blog archives for the day Wednesday, January 12th, 2011.